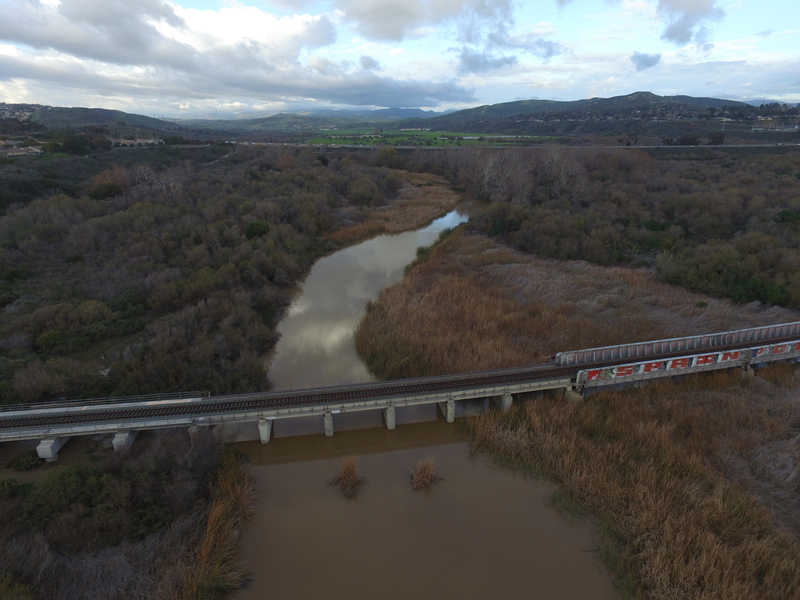 In Southern California, our rivers (a euphemism) and streams don’t really flow all that often without a boost from urban runoff (from overwatering and all sorts of wasted water with all sorts of contaminants). But, when it rains hard and long, the soil sponge lets loose and surges all the way to the ocean from miles inland. 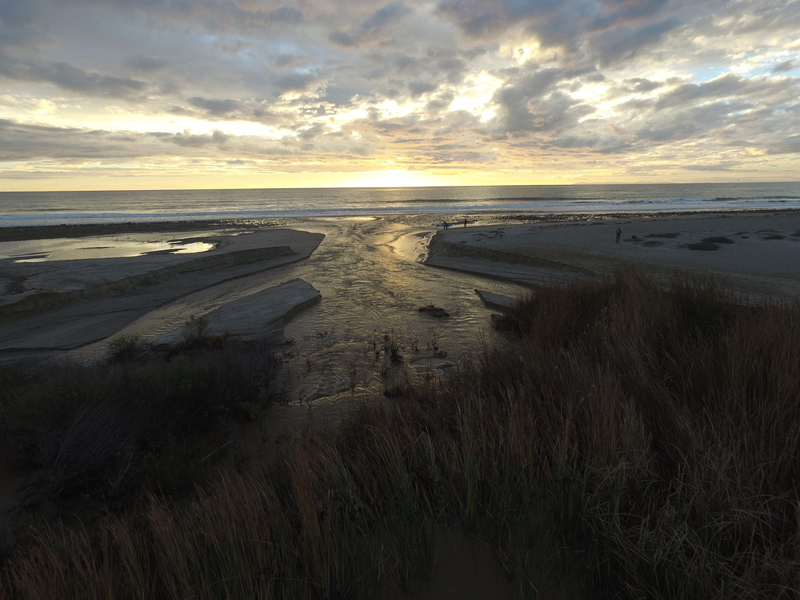 The result is muddy surf from Baja California to Santa Cruz. Add a good swell and strong wind, what do you have? Angry Mud. Looking northwest from San Onofre Bluffs State Beach. 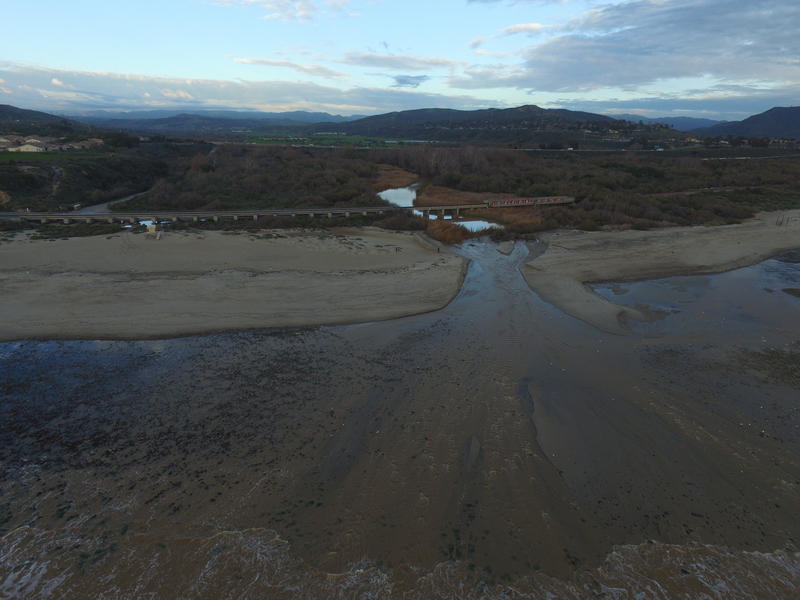 If you look closely at the photo above, you can see the angry mud from The Point all the way to Upper Trestles. In fact, if you zoom in, you can see a kite surfer risking his life (or at least an upset stomach) to catch some waves and some air. Today, January 23, 2017, the mud plume extends at least a mile out into the ocean. It will take awhile for all that sediment from the local watersheds to settle down. But, at least it replenishes some of the sand lost over recent years from local beaches. 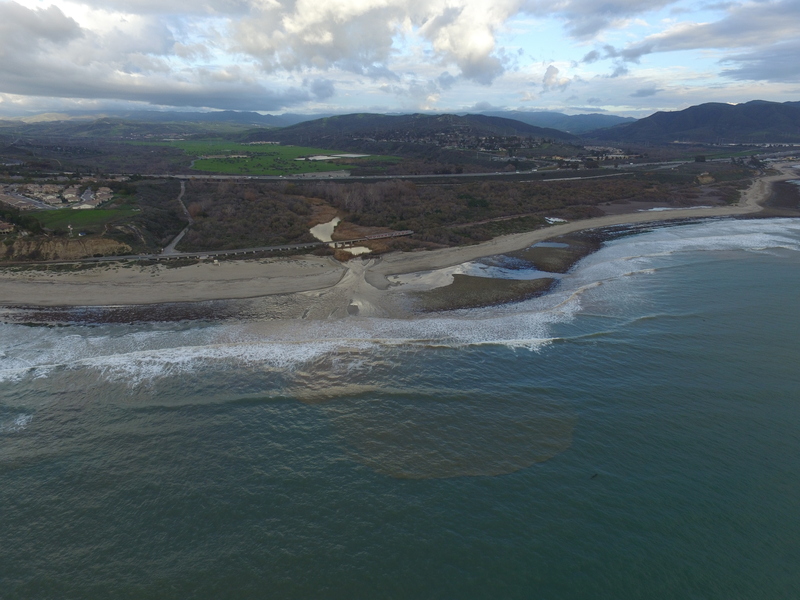 Looking southeast from 350 feet above Doheny Beach, toward San Onofre in the distance. 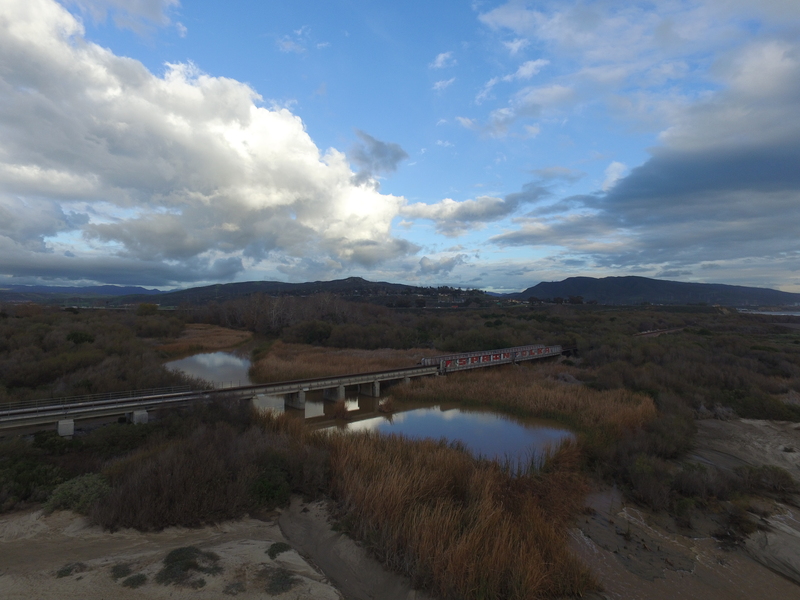 Notice the mud plume from San Juan Creek. The photo above shows a view toward San Onofre from Doheny Beach, just outside of the Dana Point Harbor jetty.